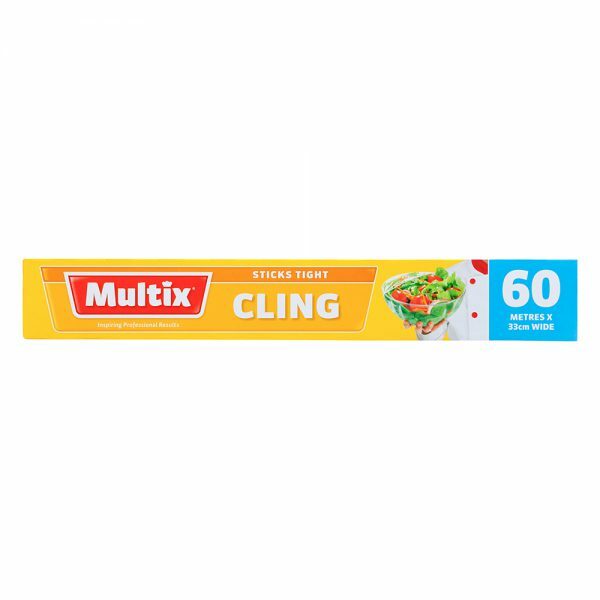 Multix Cling sticks tight. Size: 60m x 33cm wide. Retains freshness for longer. It is safe and secure in microwave and keeps food protected for your health. Contains no PVC or plasticisers. BPA Free. Multix Cling is suitable for all microwave ovens. Fold back at corner to allow steam to escape. 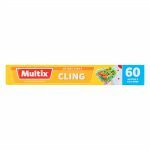 Multix Cling is not suitable for use in browning units, combination or conventional ovens. Avoid contact with hot fatty foods, particularly meat.